Swimming in a pool has got to be one of the best memories of summer – it is quintessential America along with apple pie and porch swings. As we have designed and planned many pools over the years, I’ve come to the realization the pool is more than just a vessel of water for kids to play and swim. The pool has become part of our client’s lives – it is a place to escape for relaxation, to exercise and stay fit, for endless hours of fun and games, and for social gathering. 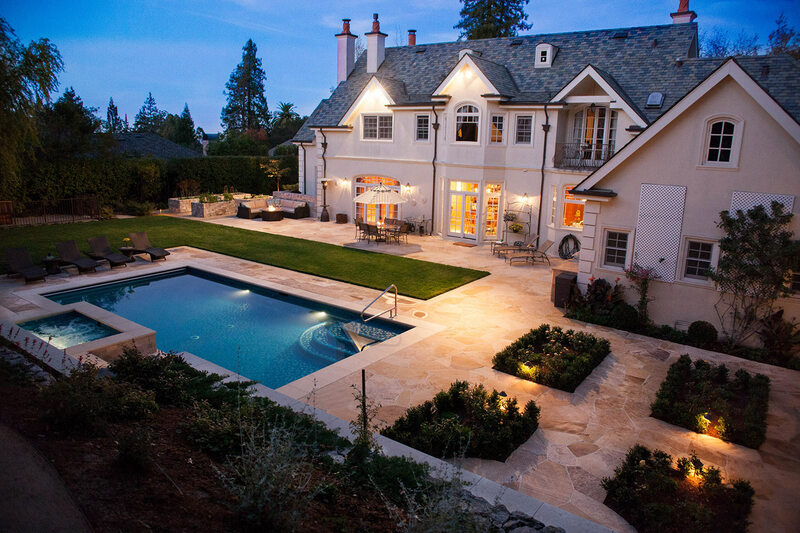 I’ll spend some time reviewing the key elements we consider when planning for a pool. 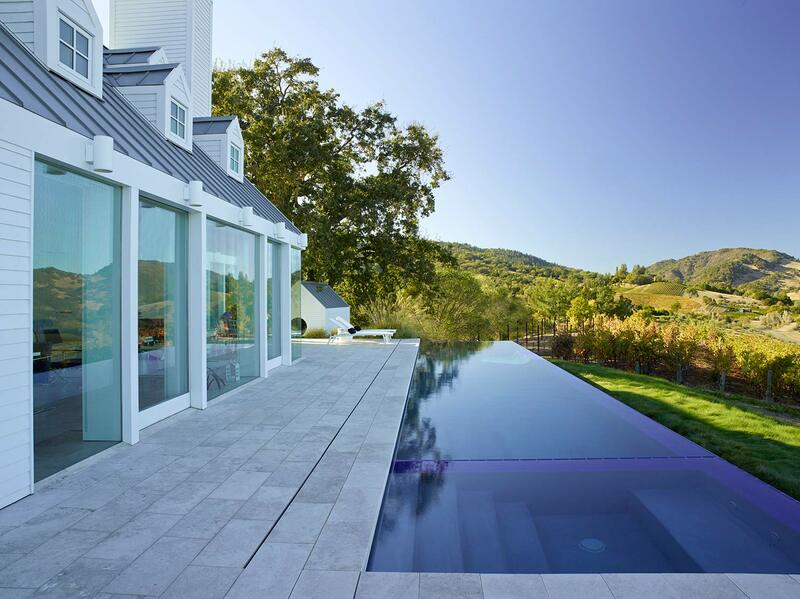 When designing a pool, one of the key considerations is who are the primary users? More than likely it will be for children playing or recreational use for adults. Sadly, the diving board has gone by the wayside (selfishly I want it back!) due to safety and liability reasons, and as a result children find imaginative play in the pool. In order to promote such play, we design our pools with plenty of shallow depth for such games. Often we encourage our clients to have a “deep middle” instead of a deep end. An ideal depth for our pools is 5-6 feet, allowing our clients more flexibility for how they will use the pool. In addition, for families with very young children, we have been designing swim “shelves” in which there is a deck area, at maximum water depth of 12”. Alternatively, for families with the desire for exercise, we design many pools with the standard lap pool dimensions. Socially, the pool and spa has gained heightened traction over the last few years. 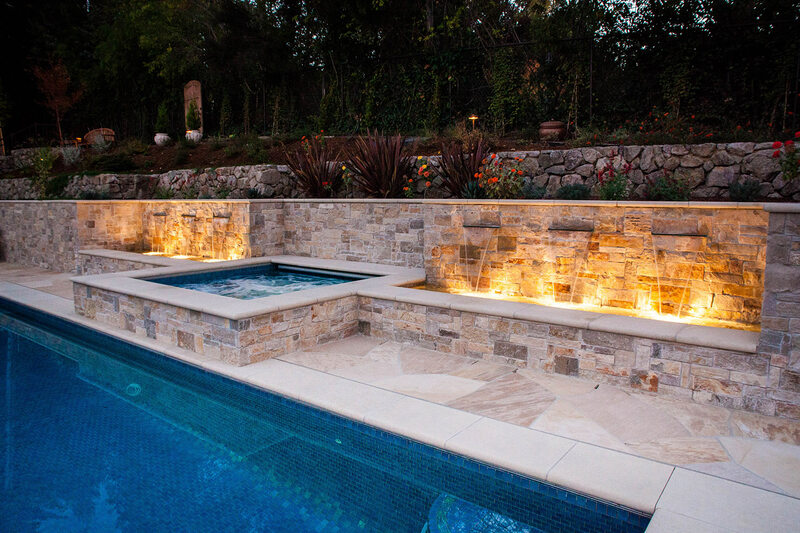 We are creating pools and spas to attract social gatherings, which results in increased overall use. 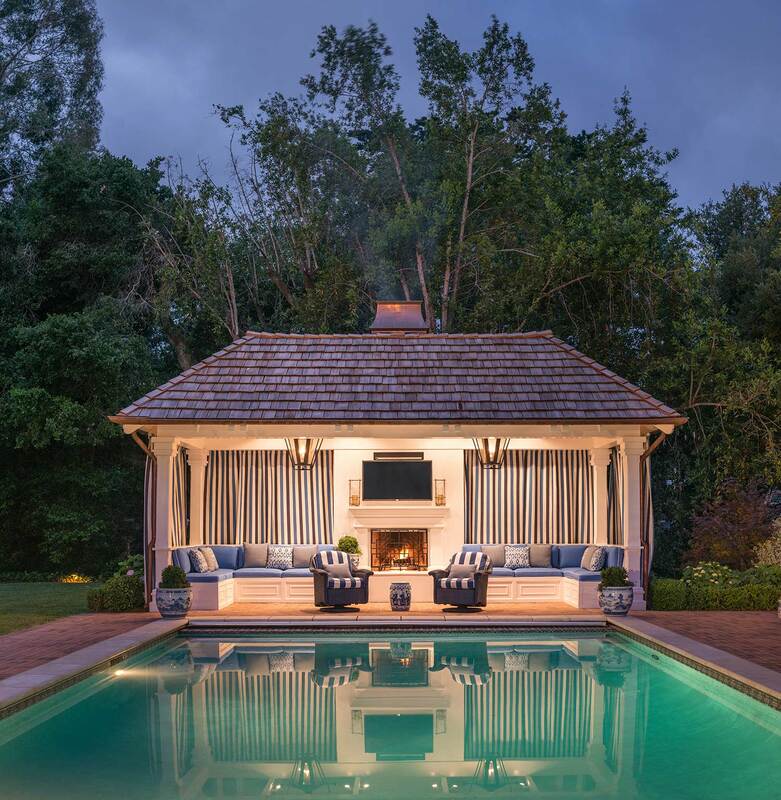 For example, by locating the spa in the deep end of a pool close to the fireplace and gathering space, we’ve created an active social connection between swimming and relaxing. The above space can accommodate a large social gathering, as well as smaller groups of people for an intimate setting. 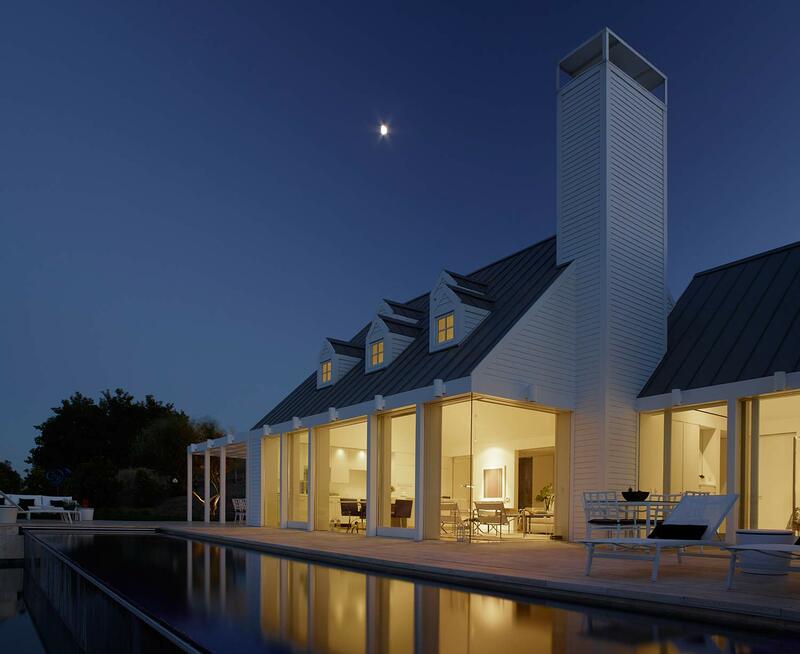 As many folks are drawn to the outdoors, especially during the evenings, it is important as we design we review and take into consideration how this special feature will be used when creating a pool or space for our clients’ family. At night, it transforms to a resort-like atmosphere with the sound of water, twinkling reflections and a sparkle of diffused light on the cascading pool walls. It is this attention to detail and thoroughly vetted ideas by our designers that can literally change people’s lives for the better. When we consider pools for our clients, we review the goals and objectives of our clients in order to capture a pool design that speaks specifically to them. In many cases, as we move through the design process new unrealized directions emerge which lead us to better ideas making our clients happier with the end result. 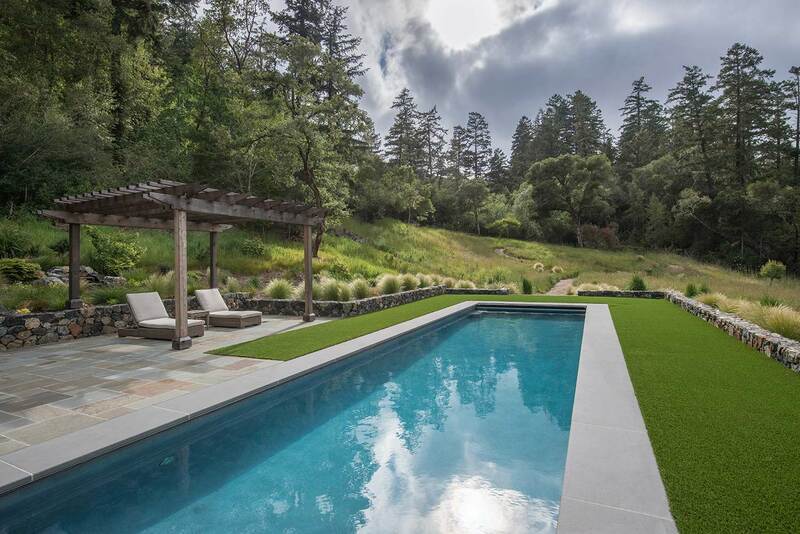 The pool is a lifetime investment and you don’t need an acre of land to build one. To conclude, this image shows a 45ft. x 65ft. 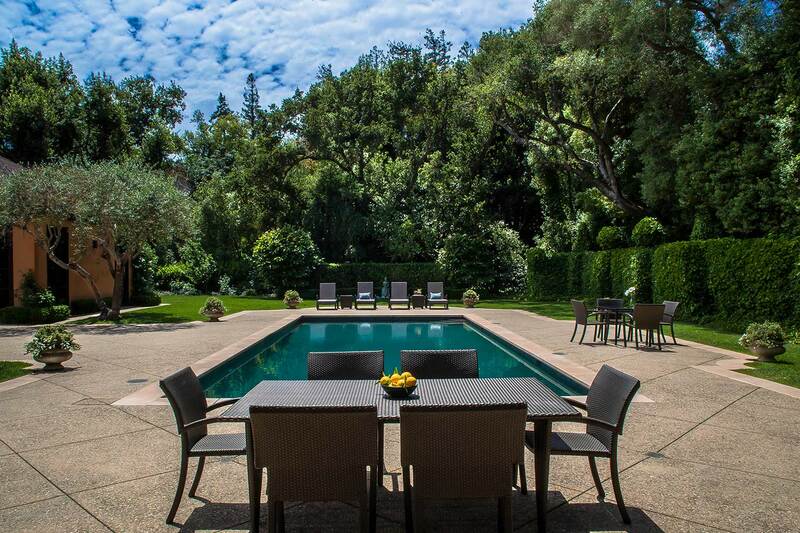 backyard with a 9 ft x 24 ft. pool that no one would have thought was imaginable. Included was a decorative water feature by Archie Held and thoughtfully placed lighting, to bring a dramatic yet functional element to the backyard landscape. Give me a call and I’ll happily meet you to discuss pool ideas.